EAT IT, MIAMI: Contest Time! 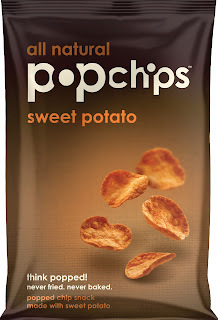 We've been spoiled by popchips before. We tweeted like all about it and stuff. So you should know about them. Plus, our readers are sophisticated gourmands who keep up on all of the latest trends. Like when people were making foam out of stuff. Our readers did that a long time ago. All kinds of foams. So, popchips are these way less unhealthy potato chips that aren't fried (0g of saturated or trans fat!). They aren't even baked. So how do they cook 'em? Duh, it's right in the name. They pop them. Not only that, but they have lots of great flavors like your usual barbecue and sour cream & onion, but also crazy chip flavors you've never had like jalapeño and parmesan & garlic and now...they have introduced...sweet potato chips. That is PDE (pretty darn exciting), if you ask us. So here's what we're going to do, dear readers. We're going to have a contest to come up with another great flavor idea. And we'll send my favorite on to the good people at popchips, and even though they might ignore us and not actually make the flavor we suggest to them, they will give the lucky winner of our hypothetical new flavor contest a big ol' box of popchips. So, let's come up with some, shall we? To get your creative juices flowing, here's a photo of me eating popchips after a long day of saving orphans' sight and treating burn victims and also puppies. 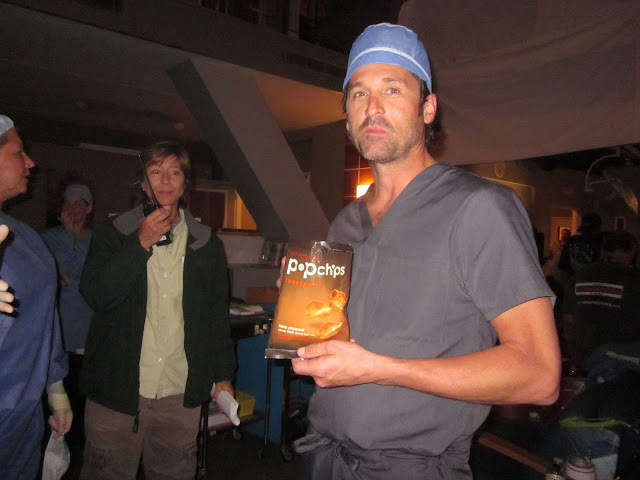 Oh wait, is that Patrick Dempsey? Oh, my bad. People are always confusing us. It's SO annoying. I have way fewer grey hairs in my beard. Put your flavor suggestions right in the comments section, por favor. We need a Miami flavor. Strippers and booze flavored Pop Chips would be awesome. Bacon and blue cheese would be tasty...kind of goes against their healthy motif though. Jeez, Andy, I knew strippers had a smell, but a taste? That's explicit! Bacon & blue cheese sounds delish. We could have a branding issue there, richie. How about chili & cheddar cheese? Simon is a smart man with good taste. Ah, the sweet and savory mix, eh SOH? I like it. I like it, Courtney. I like it. This is some cheap consumer research these guys are getting out of this. Great news everybody. You're all winners. And this time, it's not just your mom who thinks so. 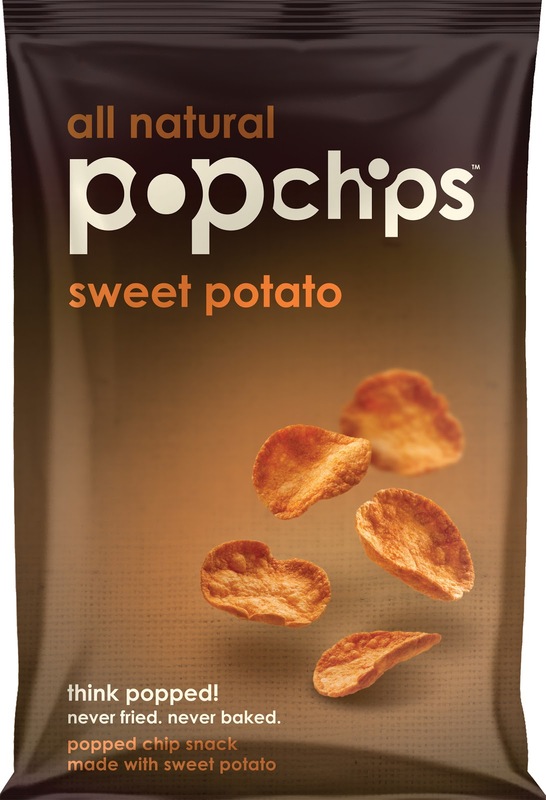 Please email me your mailing addresses and popchips will send you a gift package. Thanks for playing! I brought my giant bag of bags of popchips into work and they are a huge hit. One guy said how much he loves the cheddar flavor and that he used to have them all of the time when he lived in San Francisco, but never sees them round these parts. Thanks popchips and thank you Eat IT, Miami. When I lived in Australia, they had some great chippy flavors including Thai chile and lime, roast beef and mustard and honey ham! Then when in Amerstam a few years back I remember seeing Heinz ketchup chips, spaghetti bolognese chips too. Me? I likes 'em plain. Just salt. Of course you know that was supposed to be Amsterdam, right?